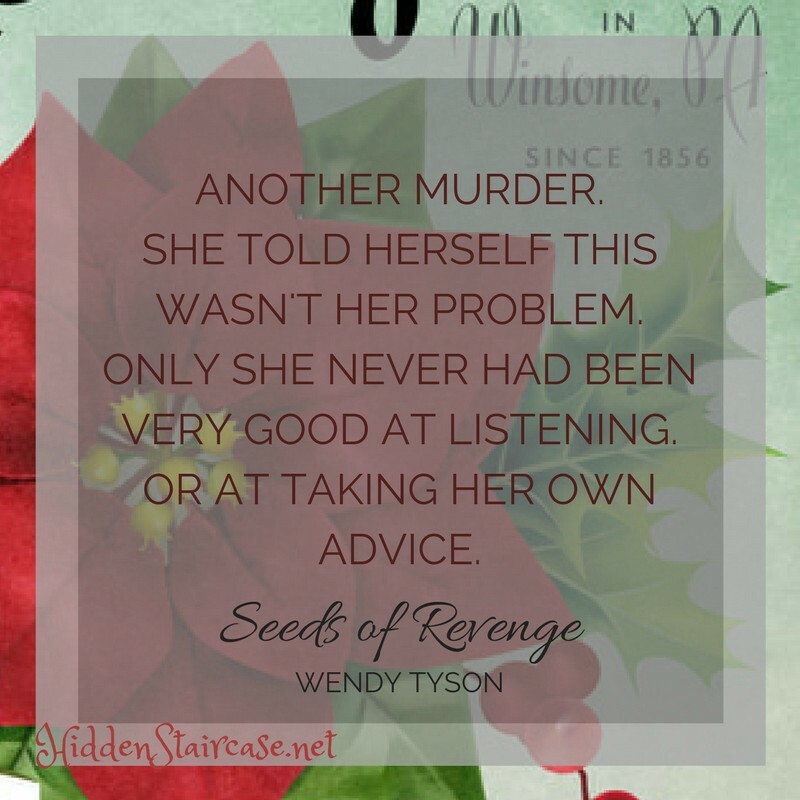 Cozy up with Seeds of Revenge this winter. 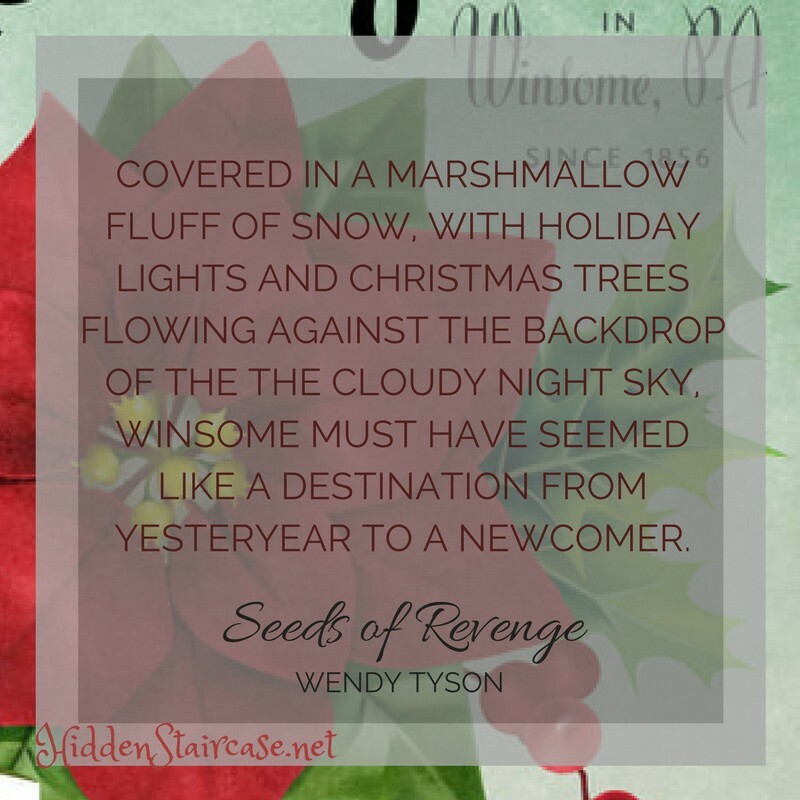 Recipe for a perfect December day: Take one comfy chair, add a cozy blanket, a liberal mug of hot cocoa, and top them off with a copy of Seeds of Revenge. Seriously, this book is the perfect reading companion on a winter’s day. The Christmas season has come to Winsome, Pennsylvania, and unfortunately so has another murder. In the third outing of the Greenhouse Mysteries series, we find Megan Sawyer successfully running her family’s organic farm and cafe. As Megan drives home through a snowstorm, she stops to help a stranded motorist, Becca Fox. At the urging of her aunt Merry, Becca has come to town to try and make a success of her love potion business. Soon after she arrives, her estranged father Paul is found dead. Paul Fox and his family left Winsome years earlier under mysterious circumstances, and many in the town are not sorry that Paul is dead. When it turns out he was murdered, there are plenty of suspects including Megan’s own aunt. The charm of these books comes not from the mystery, but the characters and the setting. I want to walk down Winsome’s Canal Street, sit and talk with Bibi in her kitchen while she bakes, visit the goats with Megan, gossip with the locals at the Washington Acres Café and Larder, have tea at one of Merry’s caroling evenings. Grab your hot cocoa (or coffee, or tea, whatever drink you prefer), snuggle up in that blanket, and enjoy your Christmas in Winsome. I’m looking forward to another visit next year. ← TTT: Books on My Winter Reading List. 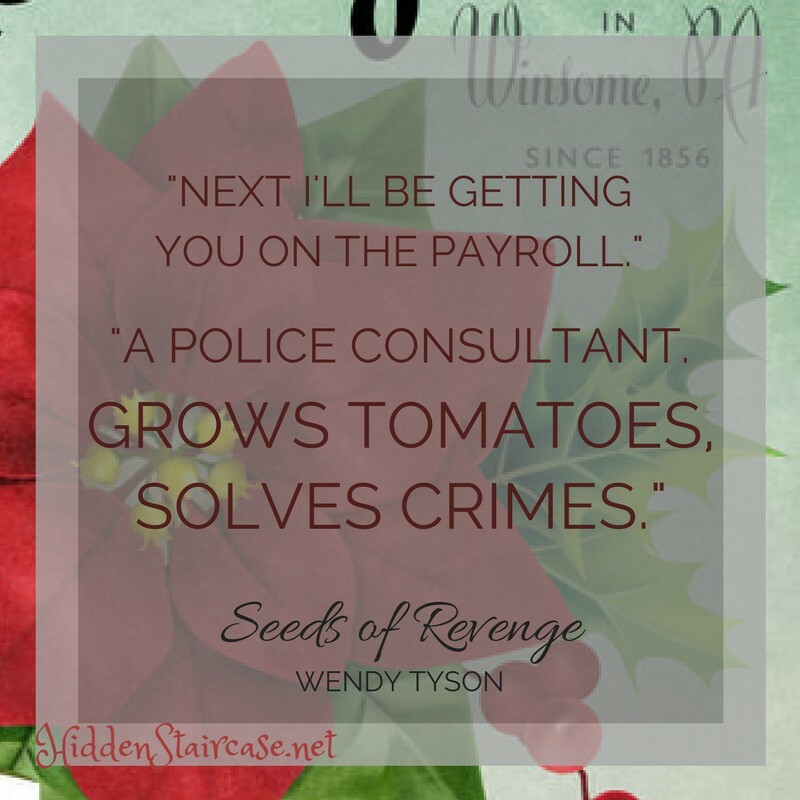 of Wendy Tyson’s latest Greenhouse Mystery, Seeds of Revenge. This series speaks to me so much in many ways and I am counting on many more books in this well-written, fabulous believable in all ways, exceptional series. Just love it!!! Thank you.